Coral Springs Tree Services: We Cut, Prune, Trim, Plant and Uproot Trees! When Coral Springs was hit by hurricane Wilma in 2005, according to government reports one third of its tree cover was destroyed. Replanting and rehabilitation are still continuing and Coral Springs Tree Services was on it since day one. We’re professionals and our experience in handling trees in any capacity has received high ratings from our customers. Coral Springs Tree Services is known for level dealings. We have a vast and superior knowledge about trees found round and about Coral Springs and the neighboring places. We’re in a working tie up with High Performance Lawn Service. Trees are one of nature’s biggest living creatures. They’re unique in that they don’t walk or talk but they do a lot in keeping us alive by removing carbon dioxide from the atmosphere and giving out oxygen at the same time. Coral Springs Tree Services knows the importance of our job, that’s why we always do our best when it comes to taking care of your trees. Our services include cutting, trimming, uprooting, pruning, planting, and maintenance. Some trees are more delicate than others and they need to be handled with care. 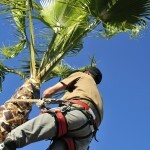 Coral Springs Tree Services only employs professional and experienced tree technicians in our company. Now about the business of tree removal; there’s a difference between cutting and leaving the stump standing and cutting the tree and uprooting the stump. One is the pay charge; it’s more expensive to have the stump uprooted; and two, your lawn’s appearance. Coral Springs Tree Services will advise you to go for the second choice unless you have specific plans for the stumps. They’re considered landscape scars and have no decorative value whatsoever. And another thing Coral Springs Tree Services has seen and heard of tales about tree stump related accidents. They’re highly hazardous, especially to small children. You may think that the stump is dead but don’t bet on it. More often than not, they’ll grow again. This is why Coral Springs Tree Services insists on having them uprooted. You’ll just pay again to have them cut the second or third time. One way of ensuring that they remain dead is to remove their bark and pour a large amount of salt on the exposed roots. Making deep incisions on them will make the salt action more effective. If you have an orchard in your backyard Coral Springs Tree Services can also help you grow them, making them strong and fruitful. Did you know you can train trees to make their trunks, branches and twigs stronger? Pruning is one way of doing it. Pruning them properly will increase the size of the tree and parts. It’s easier to spray them and harvesting their fruits will be an easy task. The branches can hold the fruits without any need of propping them up. Coral Springs Tree Services is manned by people whose loves for the trees have bonded them together. We’re friendly and hard working. Tresses are our passions and you can expect only the best service from us. And the rates are remarkably competitive considering the high quality approach that we at Coral Springs Tree Services does things.